Located in Williamsburg, Brooklyn, Grand Street Recording is a musician's paradise. The walls are lined with an impressive array of vintage instruments, amplifiers, noisemakers, modulators, synthesisers and more. It is commonplace for top session players to come in and find they didn't need to bring anything at all, and most don't. While the decor of the live room is reminiscent of a 1970s artist's space, the technology behind the signal path is state-of-the-art. It is a hybrid studio, marrying the vintage analogue goodness of classic Neve and API preamps with the capabilities of modern digital production. Using Pro Tools HD 10 with Lynx Aurora converters, sessions are easily interchangeable between studios and quality isn't an issue. The control room environment is, without a doubt, great. There is always a pair of NS10s ready to go and if you want the latest and greatest, Grand Street has a pair of ATC SCM25As for a full-spectrum view of your mix. With these choices and your pick of what sound you'd like to put on your record, you don't have to spend time second-guessing. And because the studio operates with a summing console, mix recalls are extremely fast and reliable. 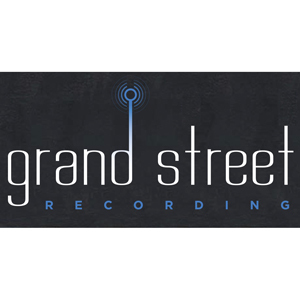 Grand Street accommodates film scoring, post production, overdubbing, full live band tracking, editing, mixing and mastering.